Fruit jelly is traditionally made by using gelatine as gelling agent. Nowadays there are more preferred options available such as pectin and carrageenan or other gelling agents. The appearance of the jelly can be opaque to crystal clear, and can contain fruit pieces especially when used as layer in desserts. The main challenges for fruit producer are the suspension of fruit pieces while filling as well as freeze-thaw stability of the jelly. 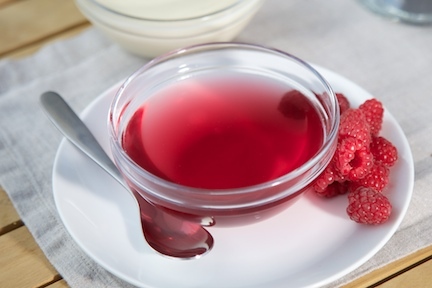 A number of factors such as the use of correct stabiliser system, need to be considered to ensure your fruit jelly achieves the quality and consistency that you are looking for. A number of approaches can be used to reduce the cost of your fruit jelly and your production processes. Our team at KaTech can advise you on how to create a great product for less.